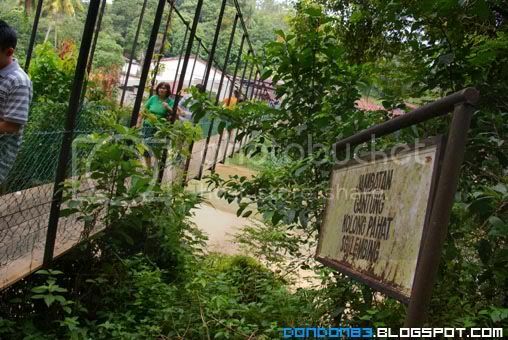 On my 2nd day in Kuantan, once again, we step back to Lembing Town. 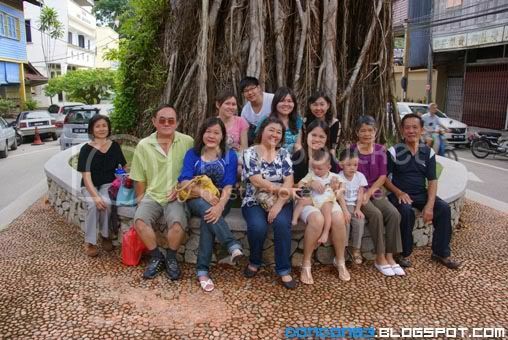 And a group photo under the very very old tree. smiles~. 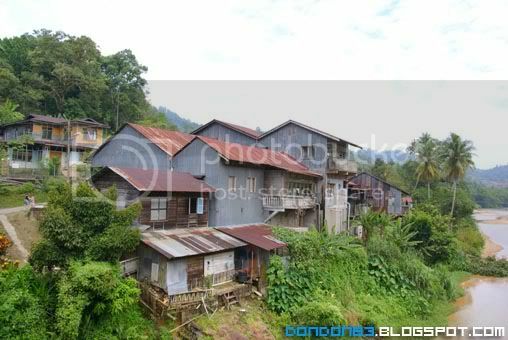 And this is the place that we missed on our previous lembing visit. 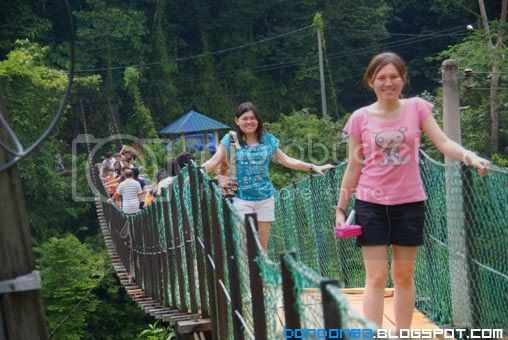 over century hanging bridge. And some local house on the other side of the bridge. 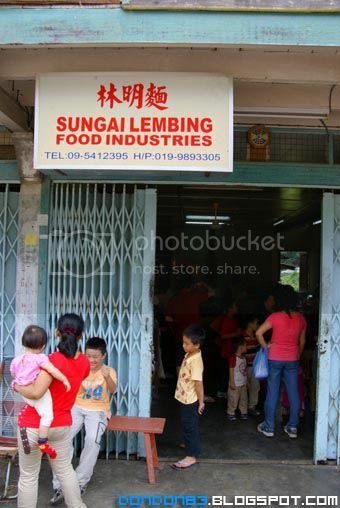 Here we are in the front door of Lembing Mee Factory. hehehe. 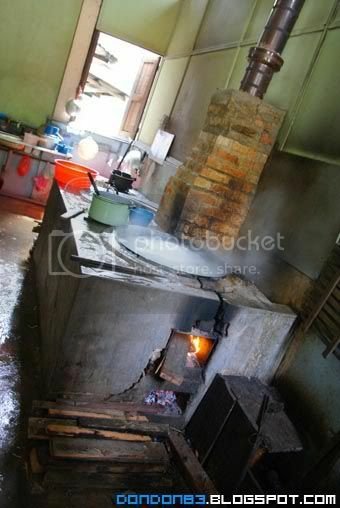 They use this mee to prepare local famous "Tomato Mee"
This is the kitchen where all those Lembing Mee come from. And again.. the one and only Shell Petrol Station. 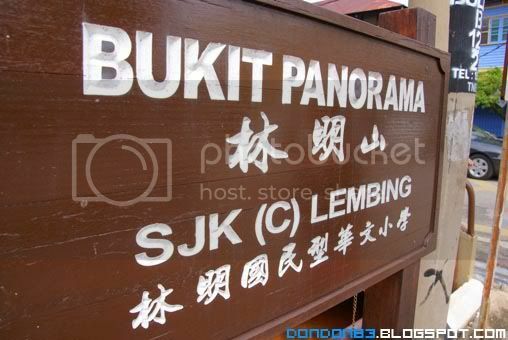 guess this petrol station already become local trademark. 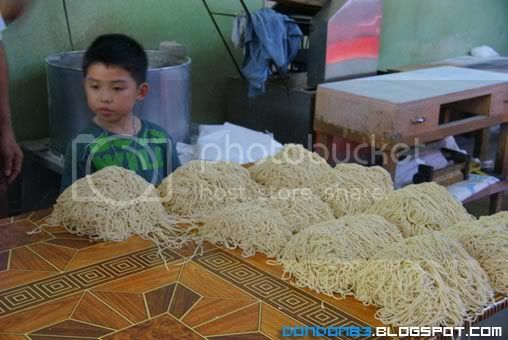 so what's the different between 'Lembing mee' with the noodle that we found at others part of Malaysia?